Number 5 in a set of 8 Australian State Badges to be released in 2018. 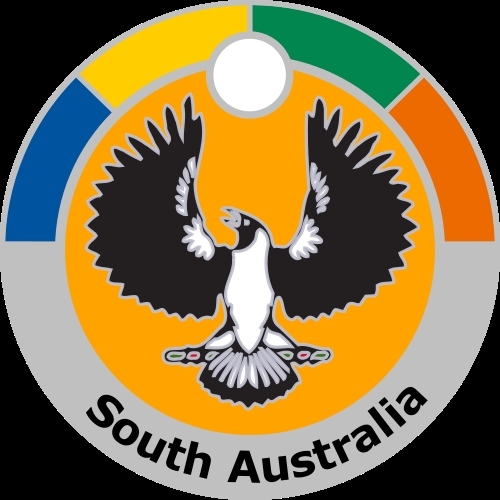 Featuring the state badge of South Australia. 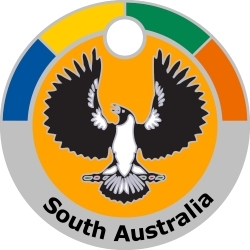 At Federation, only South Australia decided to obtain a new flag badge. Described as an Australian piping shrike, the bird is actually a white-backed magpie. The heraldic display of the wings has been attributed to the arms of Prussia. The yellow disc was intended to refer to a golden rising sun of Federation. The new badge was officially adopted on 14 January 1904.